Kit is PRECUT and ready to install. Slight trimming required at Rear Door jambs as well as Cab/Box connection1. 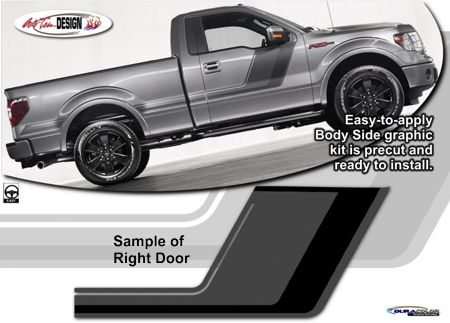 1 Graphic kit has been configured to fit SuperCab, SuperCrew as well as Long Box model combinations with slight trimming required at Rear Door jambs as well as Cab/Box connection. 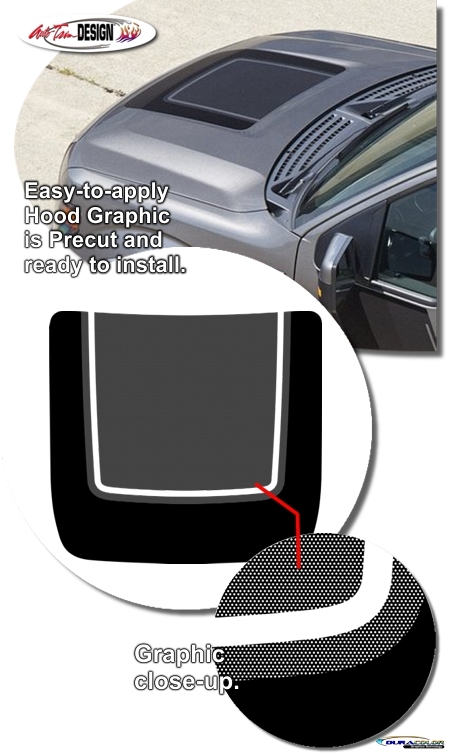 Hood Center graphic is not included with the Body Side graphic kit but offered as an option (ATD-FRDF150GRPH52).